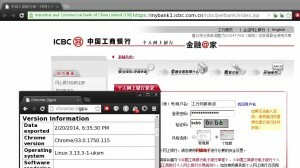 基本的原理是, 利用 Chrome 里已有的 npactivex (ActiveX for Chrome) 扩展, 配合 pipelight 提供的 npactivex NPAPI 插件, 将 ActiveX 控件本身用 wine 执行, 并且无缝地嵌入 Chrome 网页中. 2014/2/27 更新: 因为 pipelight 0.2.5 已经添加了 npactivex 插件, 不再需要手动安装 -git 的版本了. 看到 "Plugin npactivex is now unlocked" 即为解锁成功. 看到 "Plugin npactivex is now enabled" 即为解锁成功. 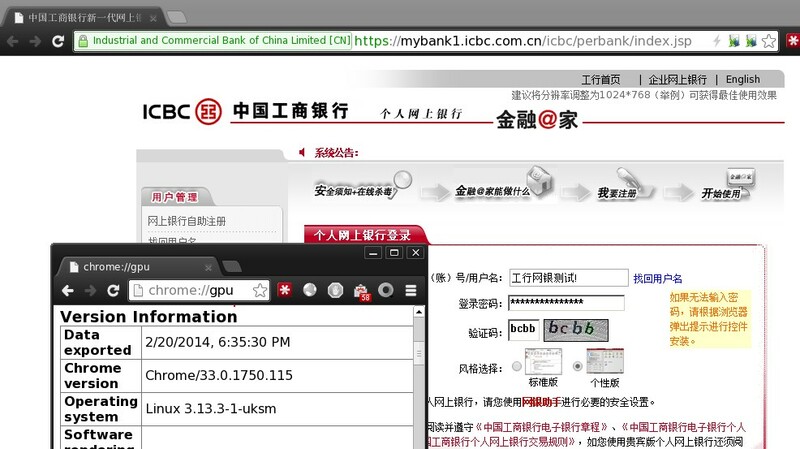 打开 chrome://chrome/extensions, 点击 "ActiveX for Chrome" 旁边的 "选项" (Options), 浏览到 "ICBC工商银行" 所在的条目, 将"已禁用"改为"已启用". 3. 完成安装, pipelight-git 的 wine-browser-installer 和 wine-silverlight 两个依赖也来自 AUR. why my termainal show the error:pacman-key:command not found? [PIPELIGHT:LIN:unknown] checking environment variable PIPELIGHT_NPACTIVEX_CONFIG. [PIPELIGHT:LIN:unknown] searching for config file pipelight-npactivex. 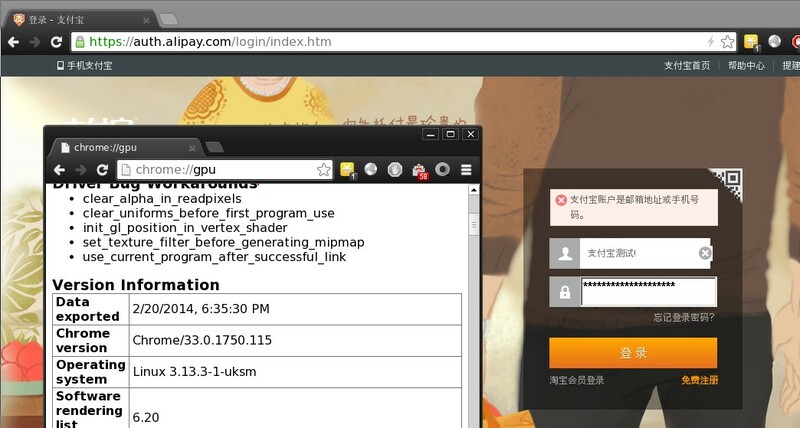 [PIPELIGHT:LIN:unknown] trying to load config file from '/home/wyx/.config/pipelight-npactivex'. [PIPELIGHT:LIN:unknown] trying to load config file from '/etc/pipelight-npactivex'. [PIPELIGHT:LIN:unknown] trying to load config file from '/usr/share/pipelight/configs/pipelight-npactivex'. [PIPELIGHT:LIN:npactivex] using wine prefix directory /home/wyx/.wine-pipelight/. [PIPELIGHT:LIN:npactivex] checking plugin installation - this might take some time. [install-dependency] wine-npactivex-installer is already installed in '/home/wyx/.wine-pipelight/'. [PIPELIGHT:LIN:npactivex] basicplugin.c:506:startWineProcess(): error in execvp command - probably wine/sandbox not found or missing execute permission. [PIPELIGHT:LIN:npactivex] ../common/common.c:168:receiveCommand(): unable to receive data. [PIPELIGHT:LIN:npactivex] basicplugin.c:117:attach(): error during the initialization of the wine process - aborting. Previous Previous post: 来尝鲜 KDBus 吧! Next Next post: 开源图形驱动也可以流畅 Wine “原生的” DX9!